Positive Technologies has released a new report Social Engineering: How the Human Factor Puts Your Company at Risk, with statistics on the success rates of social engineering attacks, based on the 10 largest and most illustrative pentesting projects performed for clients in 2016 and 2017. 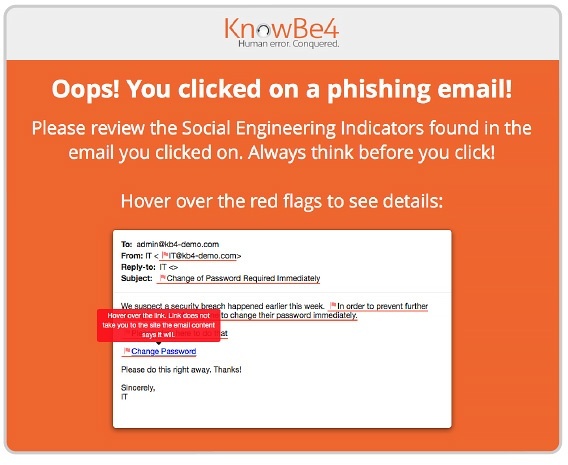 To verify the security of corporate systems, Positive Technologies testers imitated the actions of hackers by sending emails to employees with links to websites, password entry forms, and attachments. In total, 3,332 messages were sent. If the “attacks” had been real, 17 percent of these messages would have led to a compromise of the employee’s workstation and, ultimately, the entire corporate infrastructure. “To make the emails more effective, attackers may combine different methods: a single message may contain a malicious file and a link, which leads to a website containing multiple exploits and a password entry form,” said Leigh-Anne Galloway, Cyber Security Resilience Lead at Positive Technologies. Employees often open unknown files, click suspicious links, and even correspond with attackers. In 88 percent of cases of such correspondence, these overly trusting employees worked outside of IT (such as accountants, lawyers, and managers). One quarter of these employees were team supervisors. However, no one is immune from mistakes: 3 percent of security professionals fell for the bait as well. Furthermore, occasionally users complained that the malicious files or links would not open—in some cases trying to open the files, or enter their password on the site, a whopping 30 to 40 times. When employees were unable to open a file right away, often they forwarded it to the IT department for assistance. This increases the risks further still, since IT staff are likely to trust their colleagues and run the “broken” file. On occasion, the recipients responded that they were not the intended recipient and instead offered the name of another person at the company. “annual bonuses” (25%), and so on. Emotional reactions are often enough to make employees forget about basic security rules.